Buffalo Bills defensive back Shareece returned to alma mater Colton High School to his inaugural FUNdamentals Camp with USA Football. The camp was free to the community and topped-out around 250 kids. Campers received a Shareece Wright jersey-shirt with the #20 along with lunch and drinks. Wright, the former Yellowjacket, has also played in the NFL for the San Diego Chargers and the Baltimore Ravens. 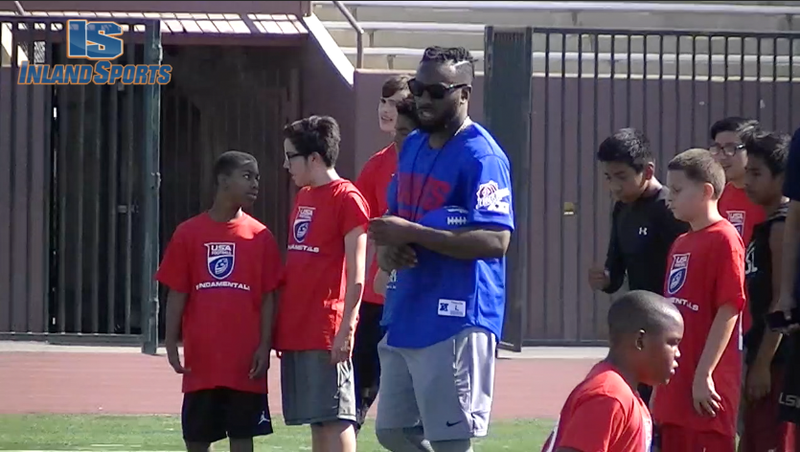 New York Giants defensive back and Colton High School product Nat Berhe hosted his FUNdamental youth camp on Friday in part with USA Football. Buffalo Bills DB Shareece Wright, also from Colton, was also in attendance. 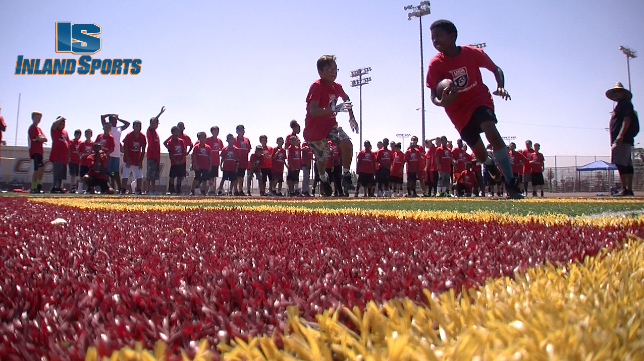 Wright will host his own camp next Friday on July 21; details on how to register are here on the Inland_Sports website. 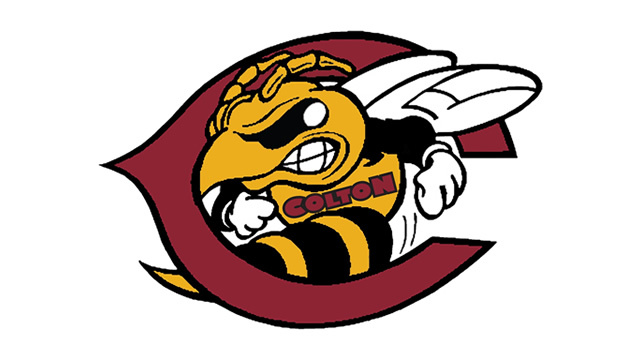 Former Colton High School football stars, and current NFL players, Shareece Wright and Nat Berhe will be hosting free football camps at their alma mater in July. “FUNdamentals introduces children to football by teaching basic skills in a FUN and energetic environment. Certified clinicians use a series of drills to show passing, catching and running skills in a non-contact setting. Click here to register for the Nat Berhe camp! Click here to register for the Shareece Wright camp! 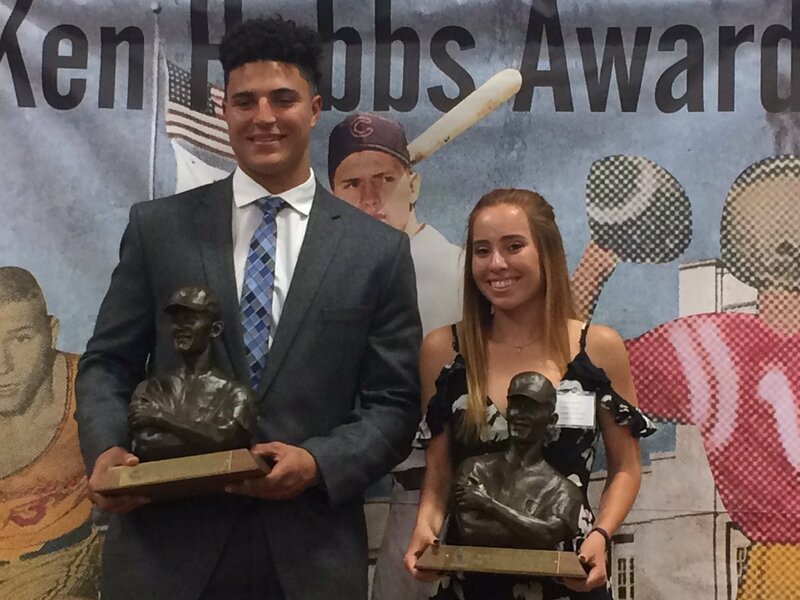 Congratulations to Jalean Phillips (Redlands East Valley/UCLA) and Claire Graves (Citrus Valley/Boise State) on winning the 2017 Ken Hubbs Award at Colton High School on Monday night. Lakeside’s Keegan Zavodnik connects on a solo home run vs. Redlands. 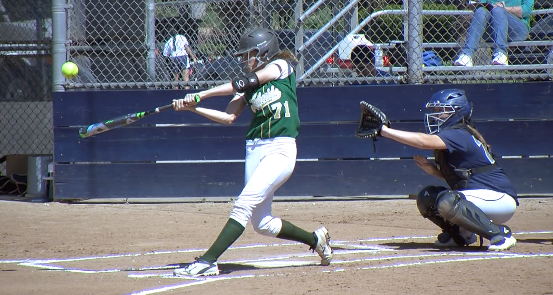 The Redlands softball tournament is underway with the championship game slated for Saturday March 19 at 3 pm at Redlands High School. Check out some early highlights as Citrus Valley blanked Colton 8-0 on Tuesday and Redlands topped Lakeside 4-1 on Wednesday. Look for additional exclusive highlights on the next “Sports Weekly” show on IEMG-TV. Join Pep Fernandez for the Inland_Sports Headliner from Adrenaline Athletic Training for an update on the local sports scene. Plus highlights of Temescal Canyon vs. Colton in the CIF Southern Section Division 6 playoffs and La Mirada vs. Redlands East Valley in the CIF-SS Division 2A quarterfinals. 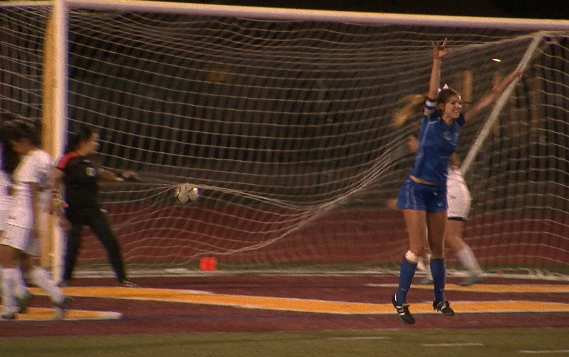 Victoria Casey nets a second half goal as Temescal Canyon tops Colton 3-0. 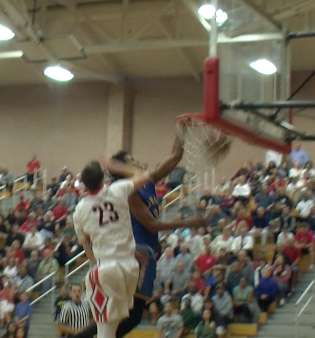 REV falls to La Mirada, 63-50 in the CIF-SS Division 2A quarterfinals.